A researcher who conducts a project to find romance and encounters an unexpected variable, a woman seeking solitude who learns that things aren't always as they appear, a man who gets postcards seemingly from his dead wife, and a couple of elderly ladies who break out of the old-age home for one last fling in Rehoboth--these are just a few of the engaging characters you will meet in this entertaining collection of beach reads set in Rehoboth Beach, Delaware. The 24 short stories in this anthology are as varied and pleasurable as Rehoboth itself. 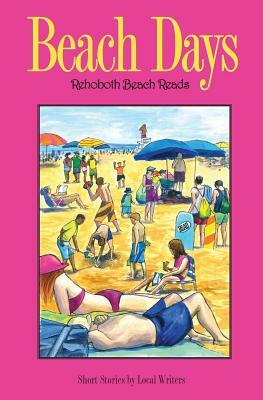 You needn't have been to Rehoboth to enjoy this book, but those who know the this popular beach town are in for a special treat, as they will recognize the restaurants, inns, streets, and activities mentioned in the stories and be able to relive their own beach day memories.